Nutri Ltd was founded in 1981 to meet the vision of its founders. That vision was to supply the highest quality and most effective nutritional supplements available backed up with outstanding customer service to rapidly and directly meet the needs of practitioners and their patients. 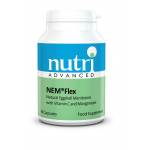 Nutri have provided 25 years of industry excellence. Good Manufacturing Practice (GMP) is part of quality insurance; it ensures that medicinal products are consistently produced and controlled to a standard appropriate for their use. Nearly all the products they sell are made in facilities that are GMP certified and their technical team ensure that all of their products comply with the Food Supplements Directive. We test our own products through independent laboratories to ensure that the nutrients they contain are of the declared potency and ingredients of correct quality. Nutri provides the most comprehensive range of efficacious nutritional products backed up with an extensive education programme. The company prides itself on being extremely efficient, simple and easy to deal with and offers you the most attentive customer care and practitioner support in the industry. 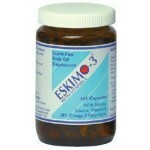 Nutri is the UK distributor for the American company Metagenics and the Eskimo range of fatty acids. The Nutri range includes specialist nutritional supplements, with many innovative products at the cutting edge of technological development. The Nutri Advanced range contains their extremely popular glandular products including adrenal and thyroid support complexes. Nutri Advanced categorise their products into how they support different body systems, providing categories such as blood sugar, bone health, cardiovascular, female & male health, immune, liver and joint support. Key point: Advanced nutritional formulations suitable to assist many with problematic health conditions.